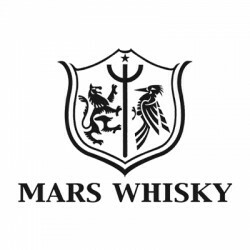 Owned by Hombo Shuzo Co., Shinshu Mars Distillery was founded in 1985 at Nagano, and is officially the first open whisky distillery from the company, it produces well-known whiskies under the name of Mars. In recent years, Shinshu Mars Distillery produced some young but high quality whisky, which were mainly matured in American White Oak casks. We truly admire and fall in love with this highest whisky distillery in Japan. The distillery is situated at Miyata Village where it sits 798 meters above the sea level. The Mars whisky is making with natural minerals water and aging in the cold and foggy environment that brings it distinctive rich favors. Mars Komagatake Tsunuki Aging本坊酒造於 1985 年在長野縣建立信州蒸餾所，開始釀造「真正」的威士忌，其後經歷停產十數載至 2011 年再度投產。酒廠近年出產不少年輕的駒..
Mars Shinshu Komagatake 2014 Y's Cask for Toko Tokyo Cask 1759..
Mars Shinshu Komagatake 2014 for Mitsukoshi Isetan Cask 1218..
信州蒸餾所曾一度停運，所以現時的高年份酒款都來自 1992 年或更早蒸餾的威士忌，而這支 27 年的新作，正運用了停運前的 4 桶酒調和而成！分別是 1986、88、90 開始陳釀的三桶雪莉桶威士忌，..
Mars Shinshu 3 Year Old 2011 The Revival 2011..
Mars Shinshu 26 Year Old 1988 Komagatake Cask 568..
Mars Shinshu Takashimaya Buyer's Selection Cask 1585..
Mars Shinshu 3 Year Old 2012 Super Heavy Peated Mitsukoshi Isetan Cask 1492..
Mars Shinshu 3 Year Old 2012 Single Sherry Cask Mitsukoshi Isetan Cask 1436..
Mars Shinshu 3 Year Old 2012 Phoenix and the Sun Whisky Talk Fukuoka 2015 Cask 1490..
Mars Shinshu 3 Year Old 2012 Campbelltoun Loch 15th Anniversary Tour Cask 1559..